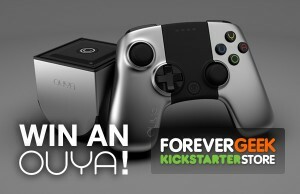 Win an OUYA Game Console With The Forevergeek Kickstarter Store! Entry for this competition closes on Friday February 28th at 5pm EST and the winner will be announced the following Monday. Entry is also only open to residents of the US and Canada.